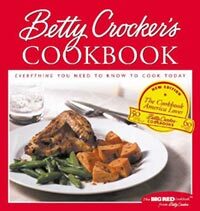 Betty Crocker’s Cookbook remains true to its subtitle—“Everything You Need to Know To Cook Today”. Now in its 10th edition at over 50 years old, this trusted classic is still satisfying millions of home cooks. 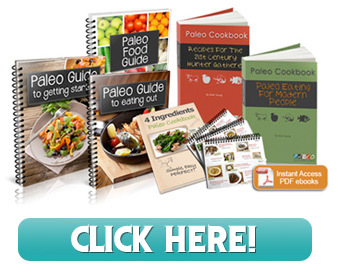 There are almost 1,000 recipes, all complete with step-by-step directions, easy to find ingredients, and well laid out instructions. This is traditional, home cooking that new cooks can rely on. Good old-fashioned comfort food presented in the trusty “Big Red Cover” and loose-leaf binder. All of the old favorites are here… Old-Fashioned Baked Beans, Macaroni and Cheese, and some fresh ideas like Brie with Caramelized Onions, giving a well-rounded reference of reliable, comfort foods. There are new sections on grilling and vegetarian cooking to reflect changing tastes and techniques, along with up-to-date nutrition information. The great color photographs and comfortable layout round out this classic guide for new cooks. Betty Crocker’s Cookbook stays true to its roots of combining convenience (parent company is General Mills), with economy and good food towards helping people eat better and live better—something even more viable today for busy, health-minded home cooks. The newer cookbooks don’t have the same recipes that the older books had. How can I find the old recipes? Hi, I would suggest you contact the publisher – Wiley.